Features central heat/AC, 2 full baths and laundry. Two bedrooms have double beds, one bedroom with queen size bed, 4th bedroom has twins. 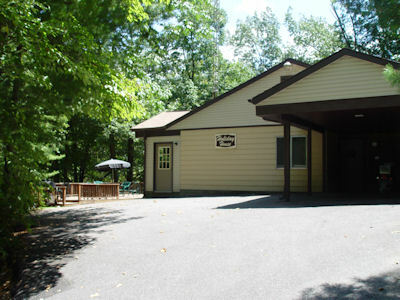 Linens and towels are provided, complete kitchen has toaster, coffeemaker and microwave. 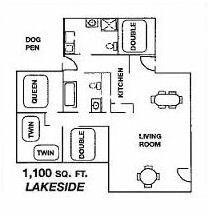 TV/VCR, carport, gas grill and complimentary dock space. Centrally located overlooking the resort and swimming pool, this home has a wonderful view of Lake Barkley with a large furnished deck. Photos below are clickable.